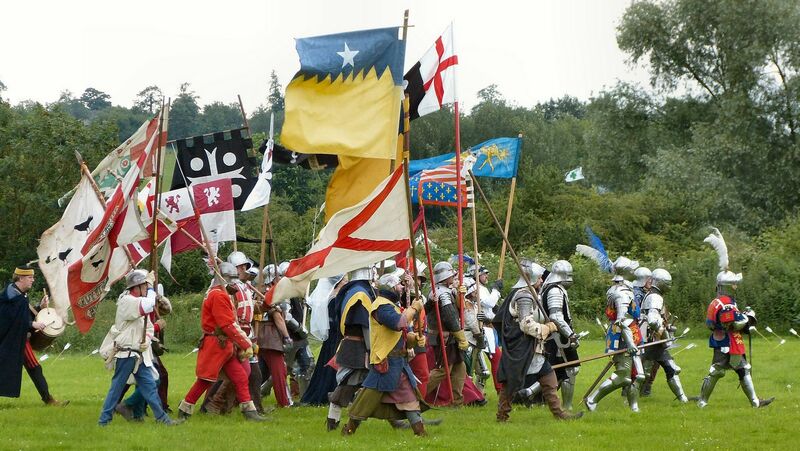 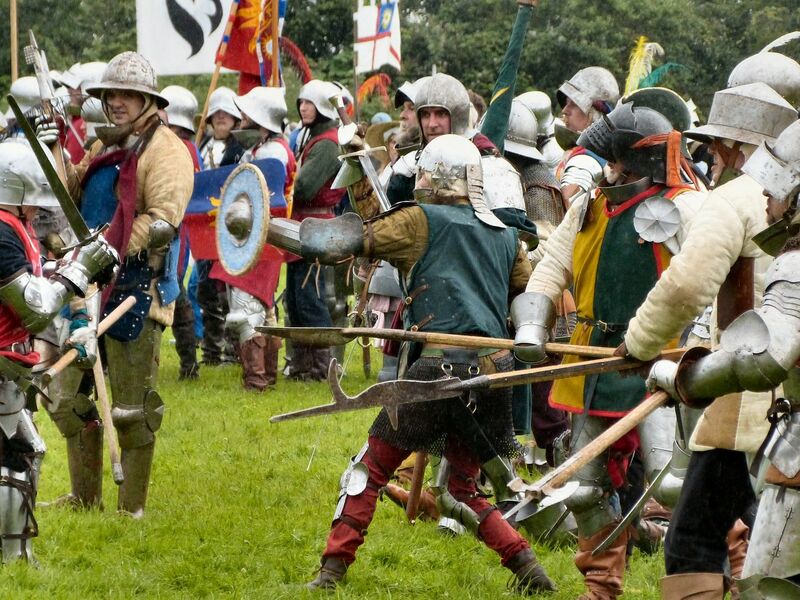 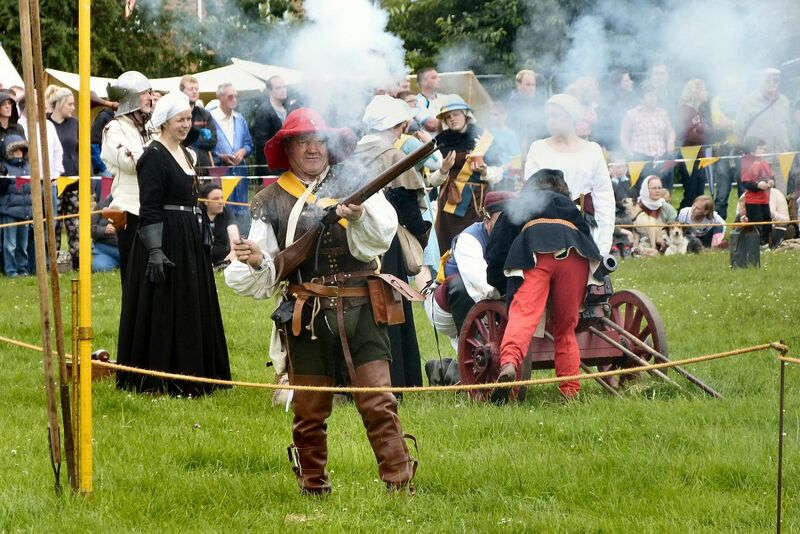 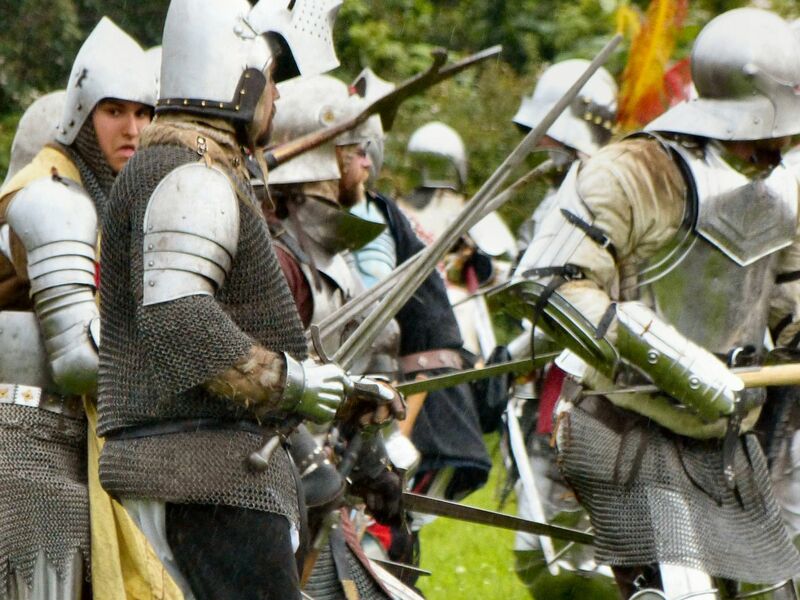 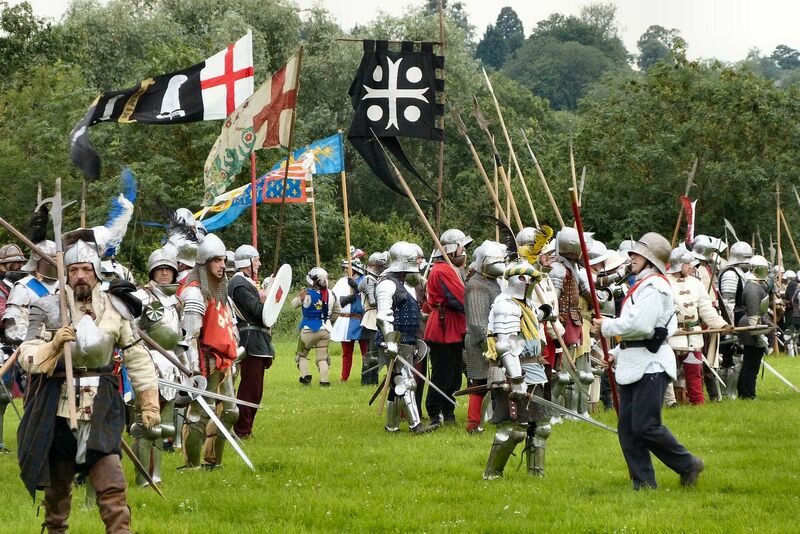 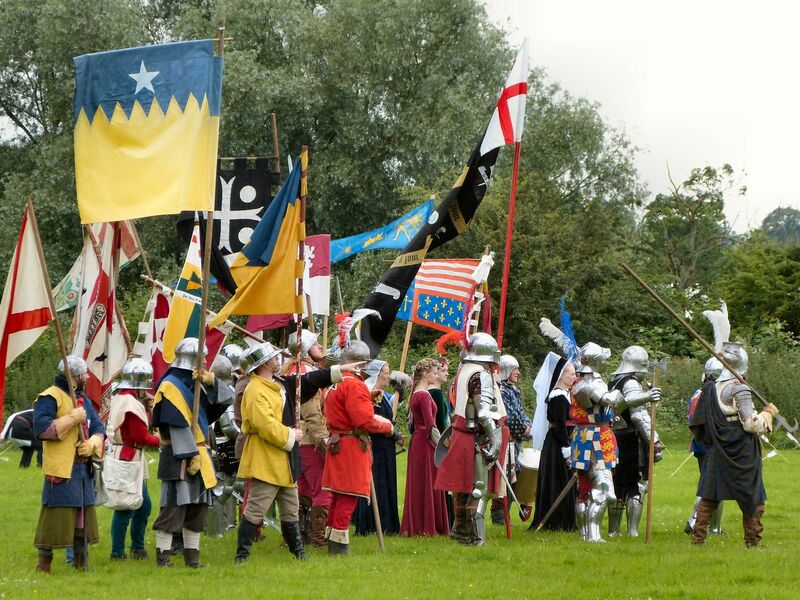 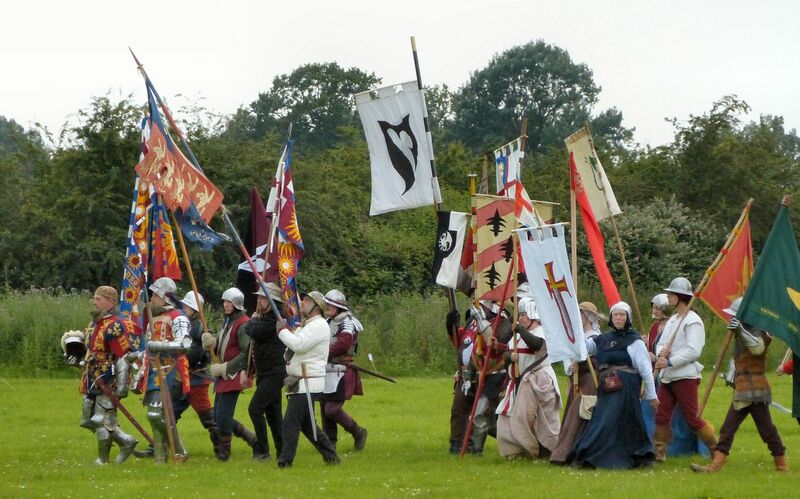 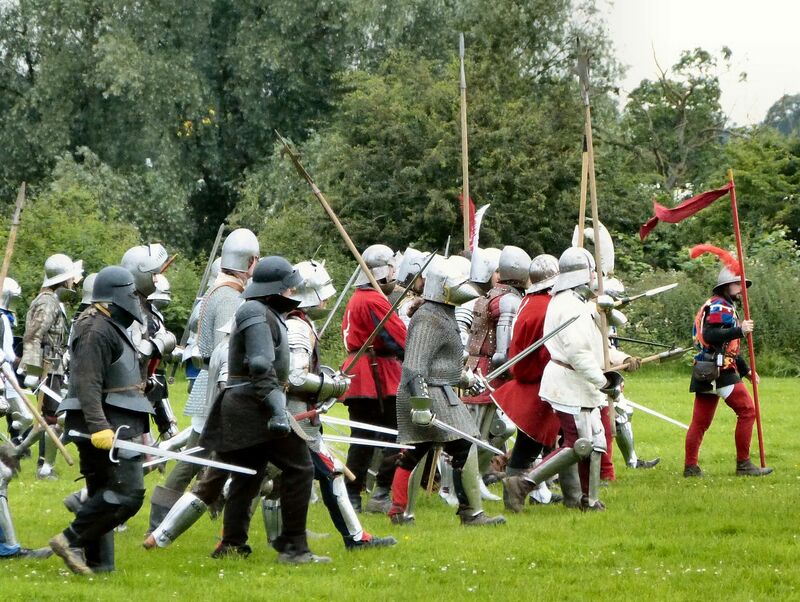 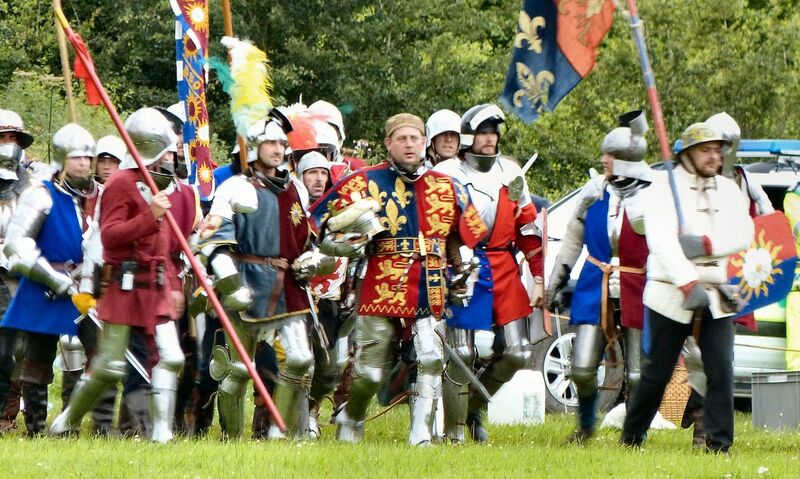 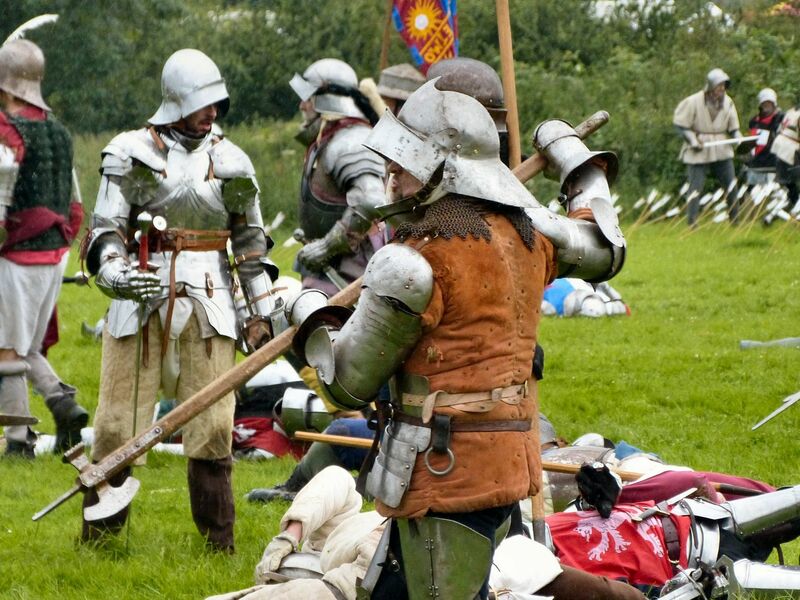 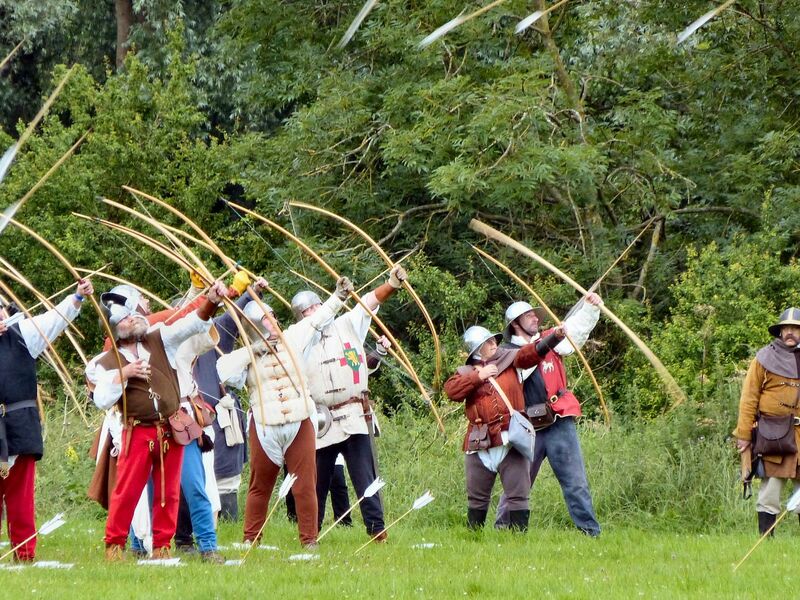 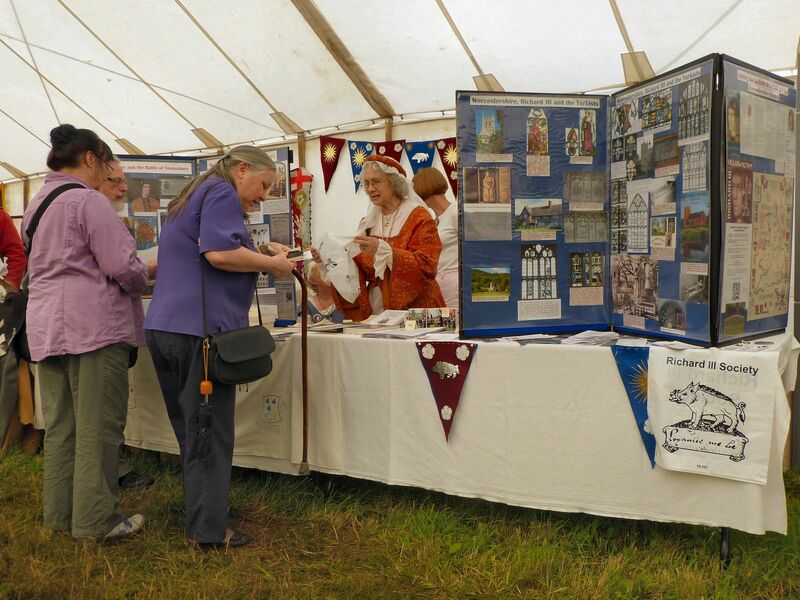 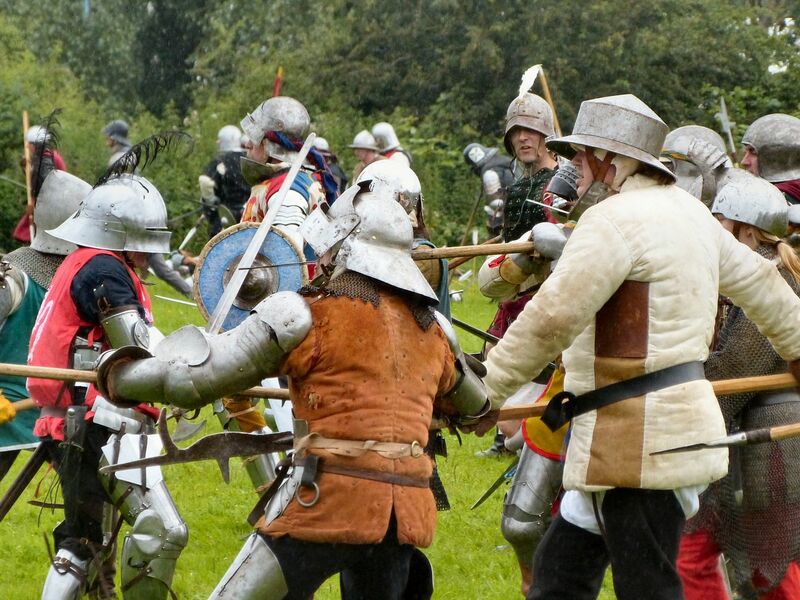 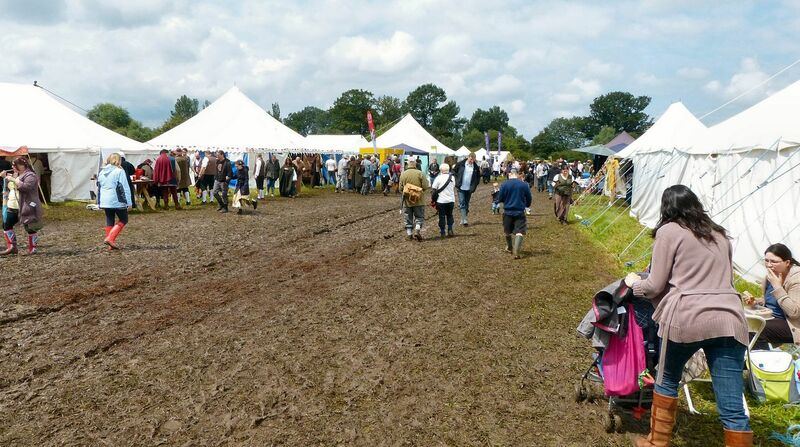 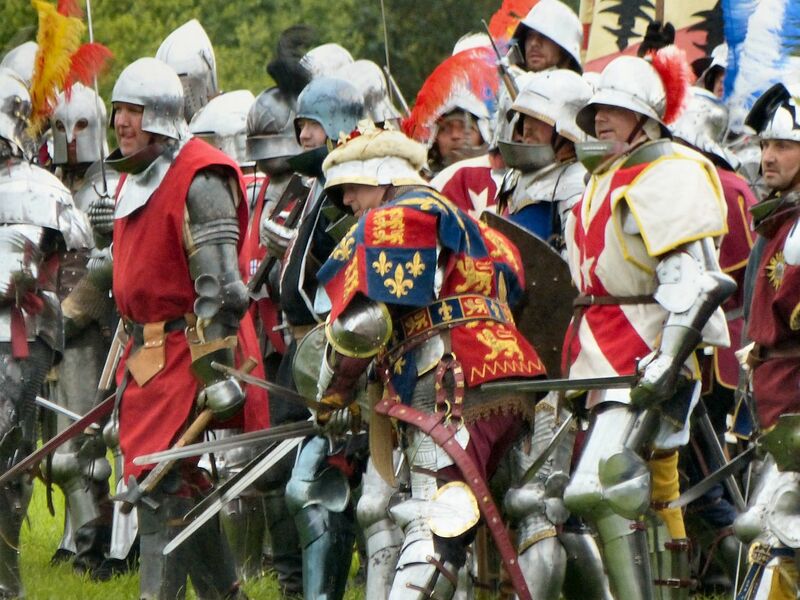 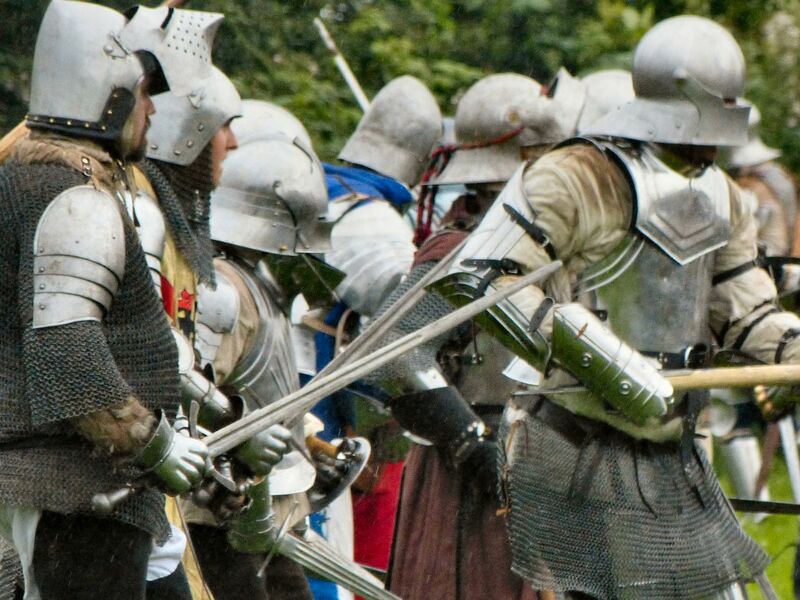 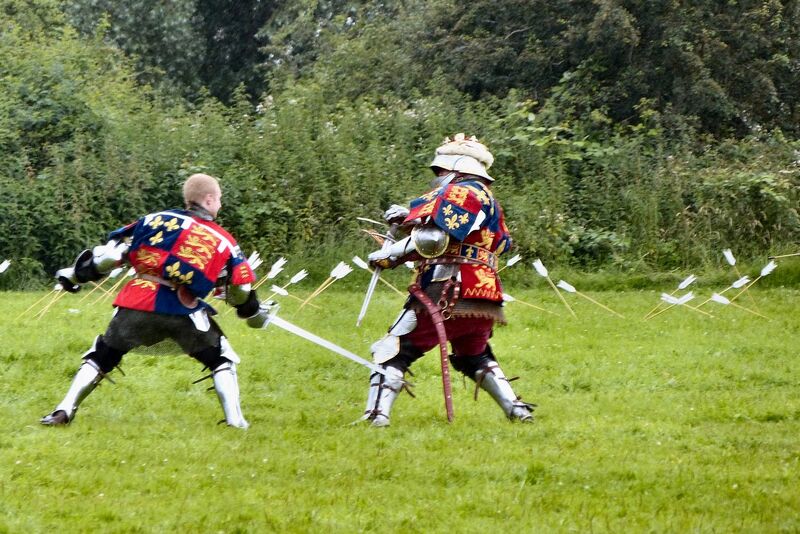 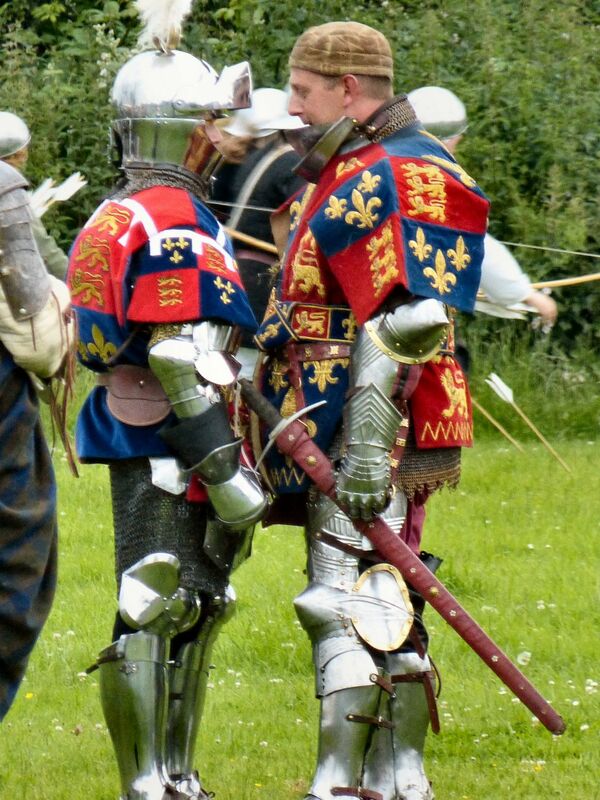 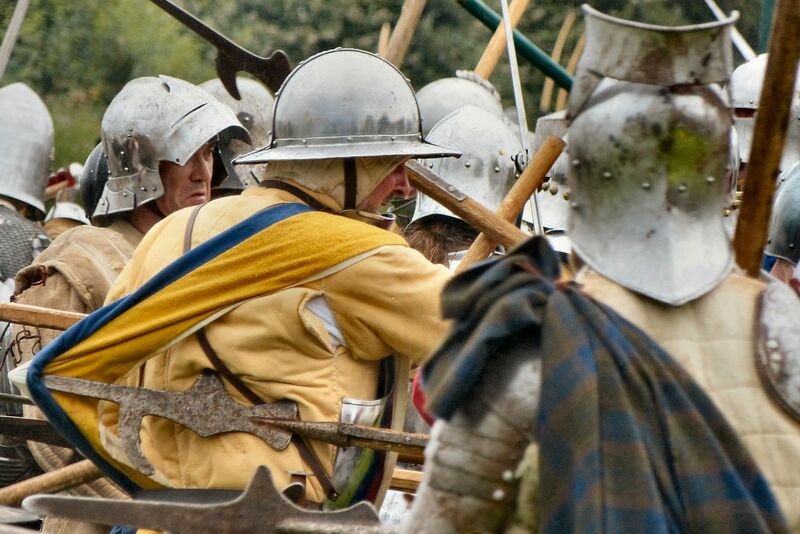 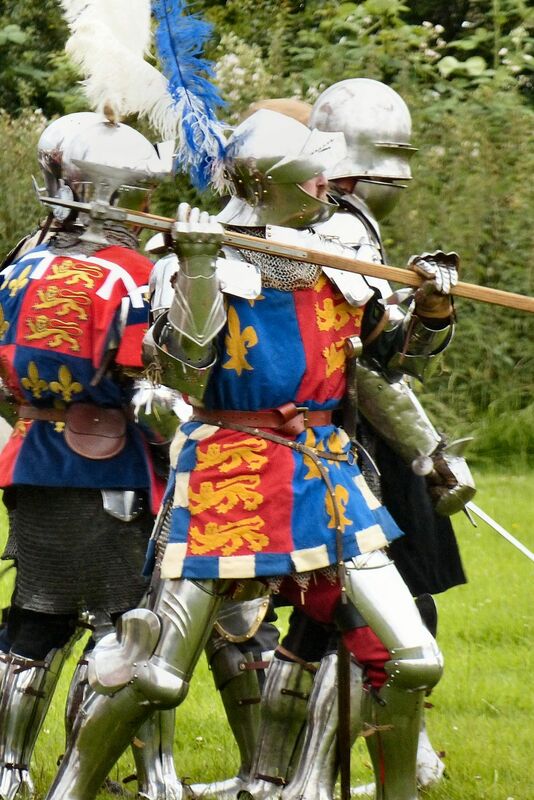 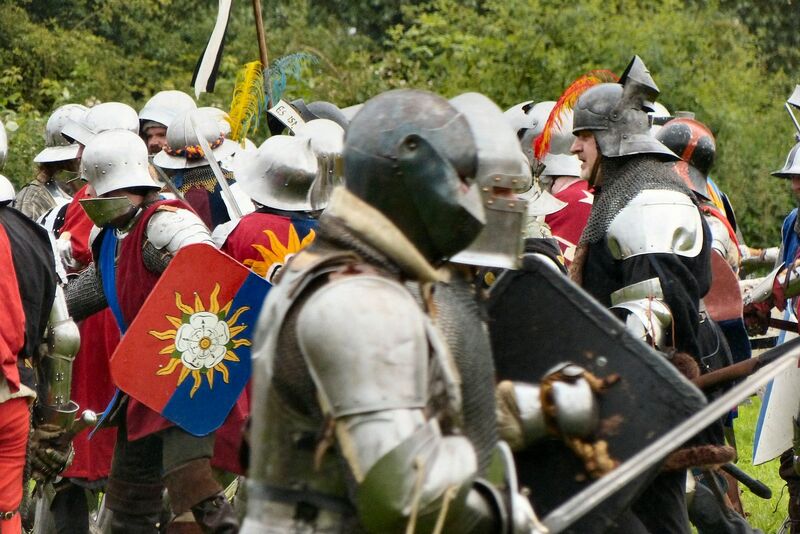 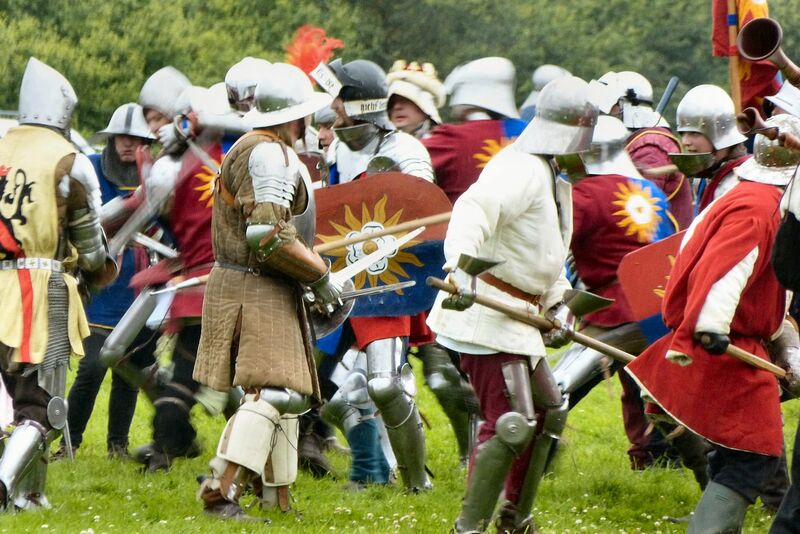 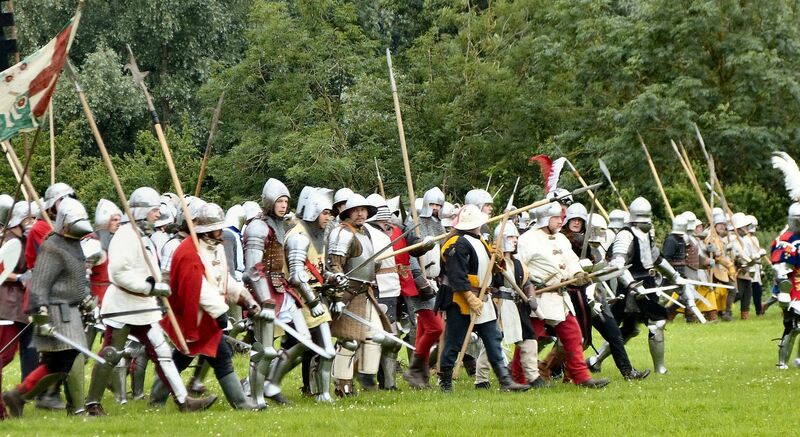 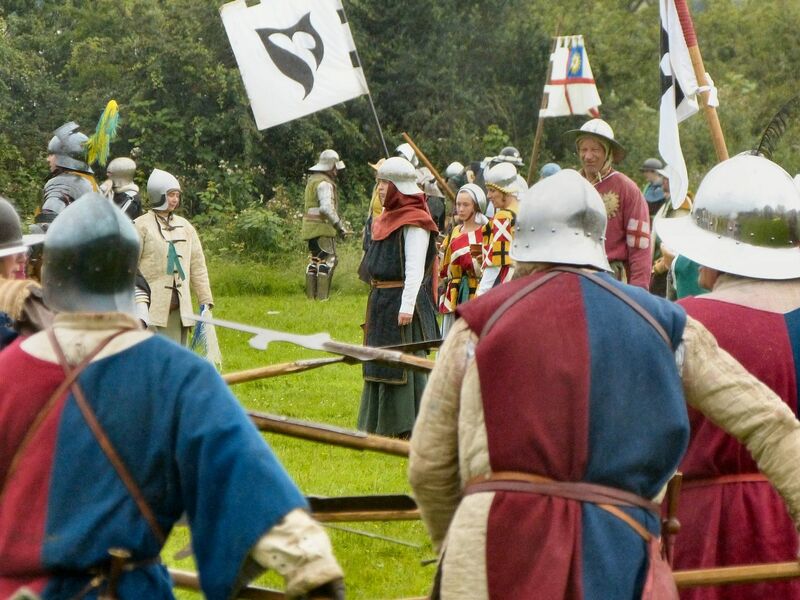 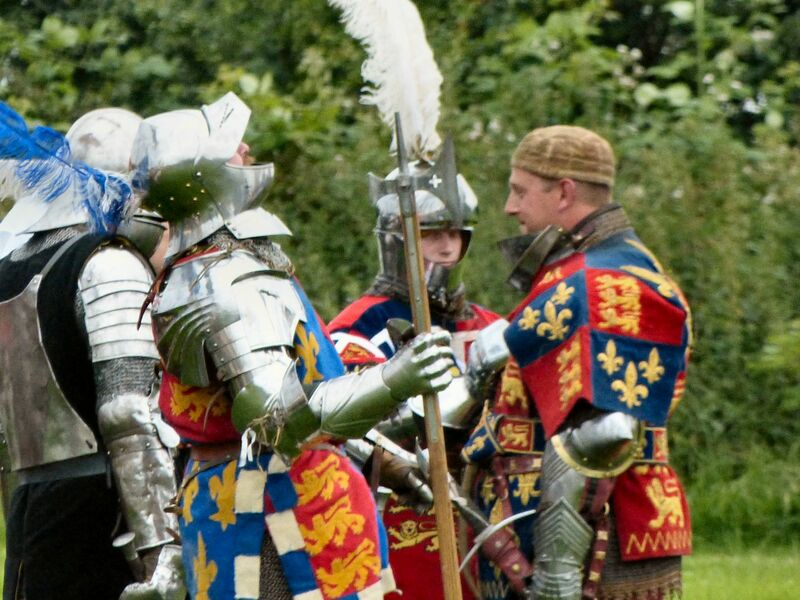 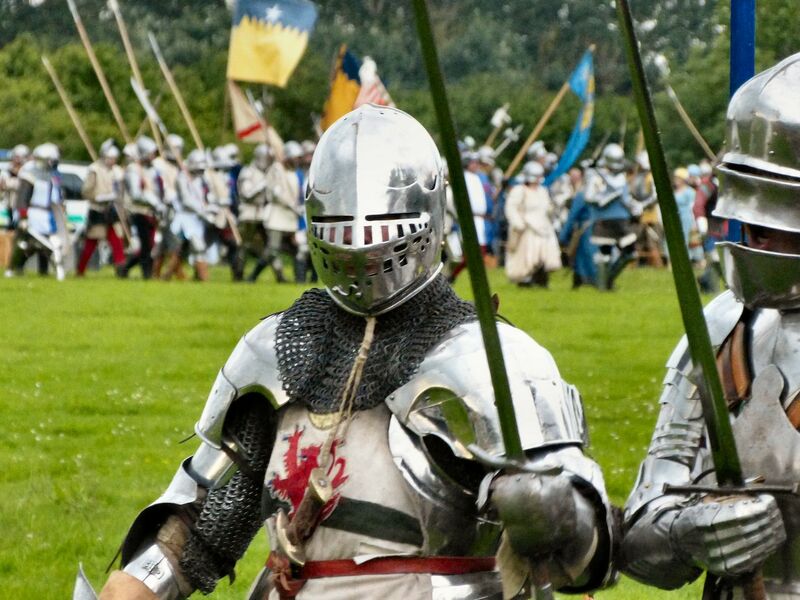 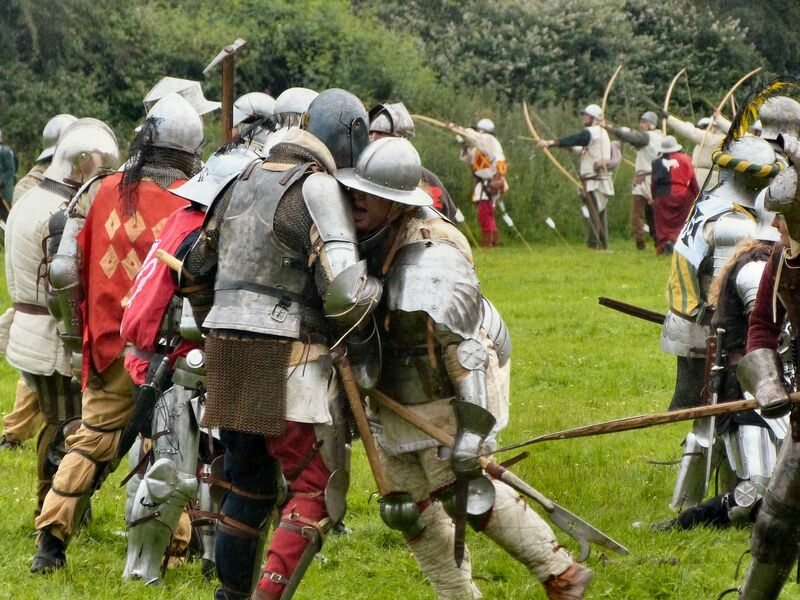 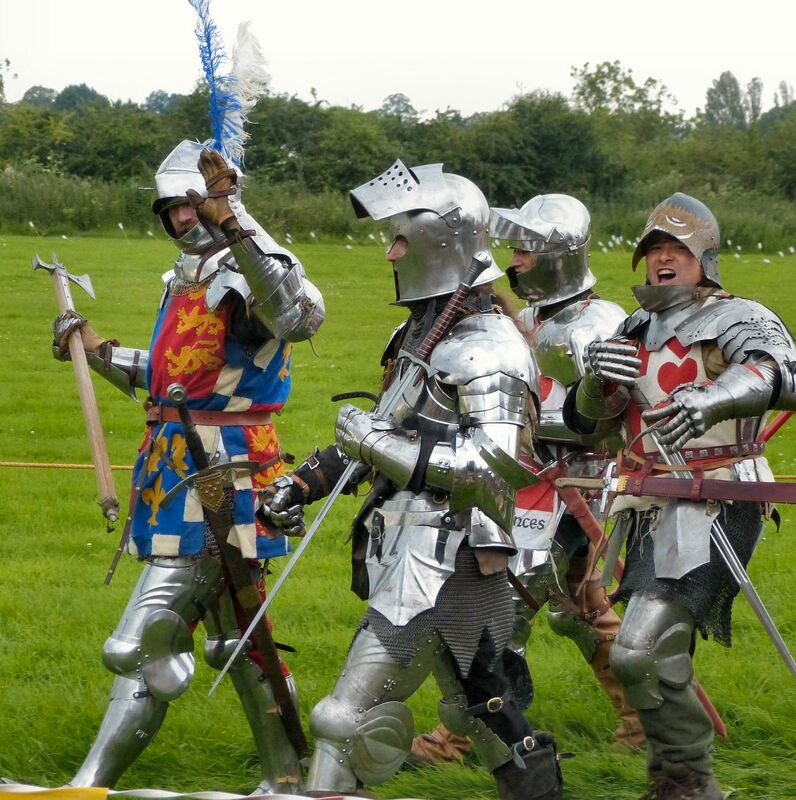 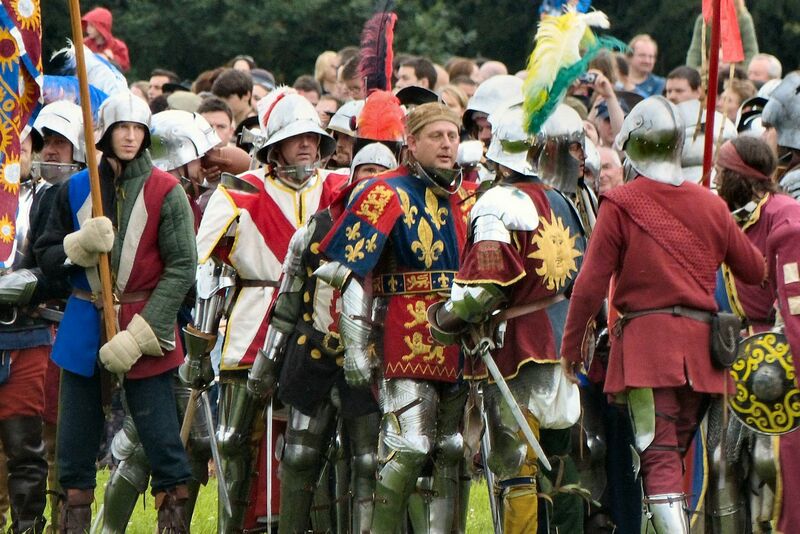 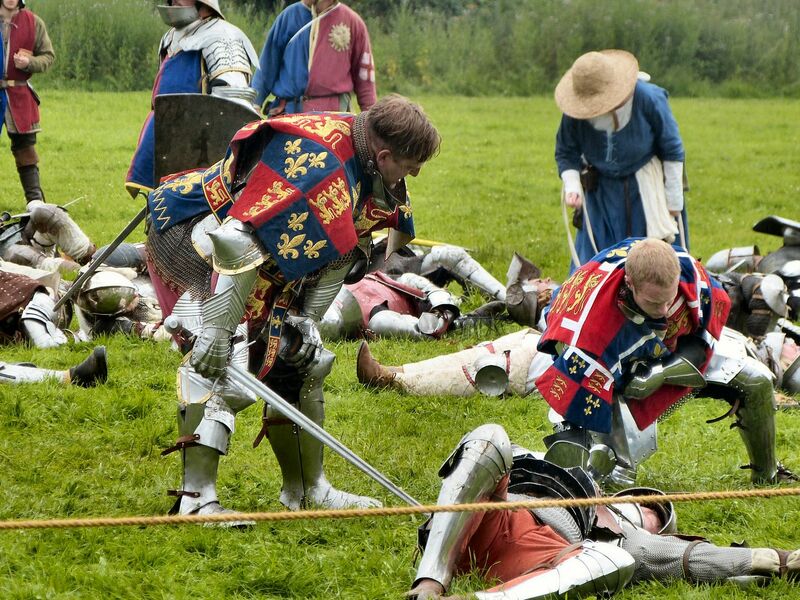 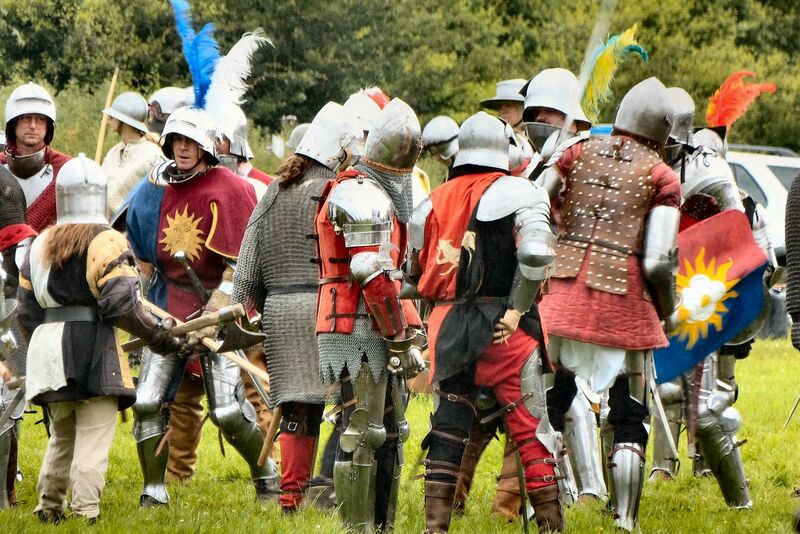 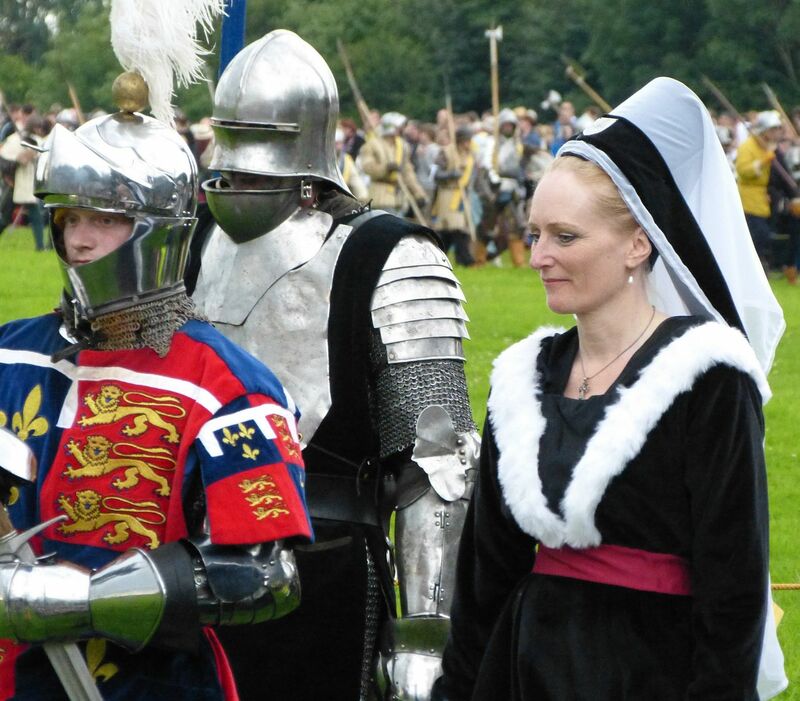 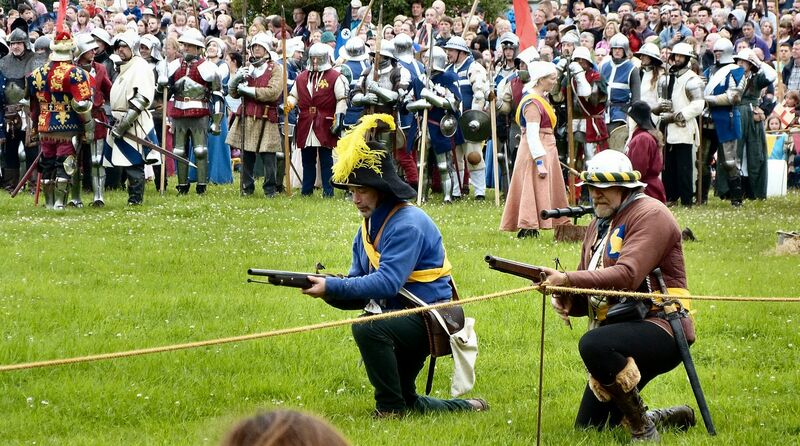 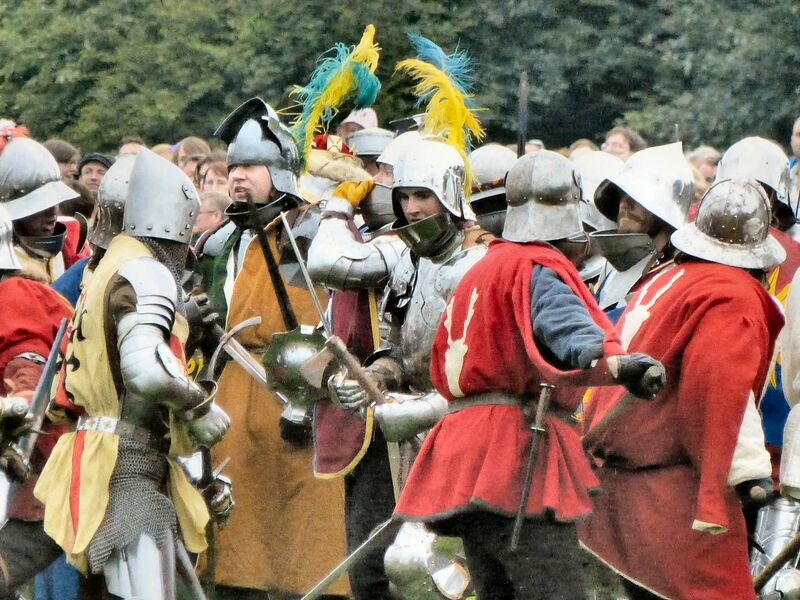 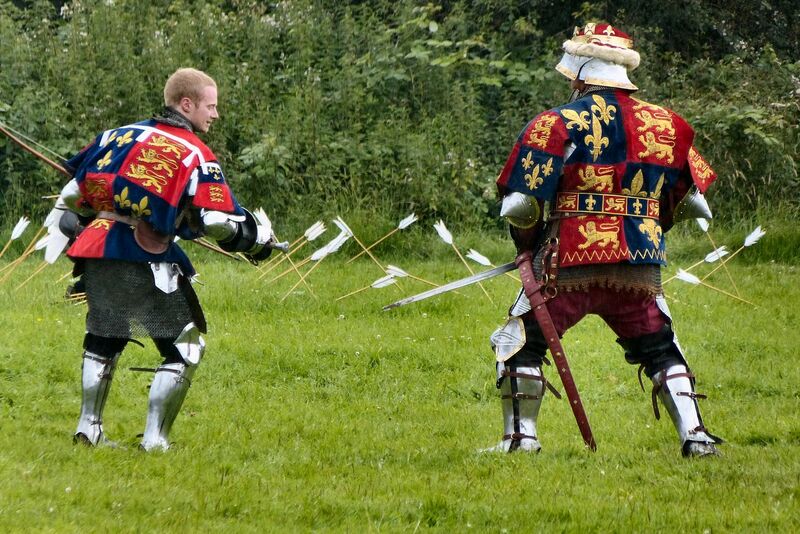 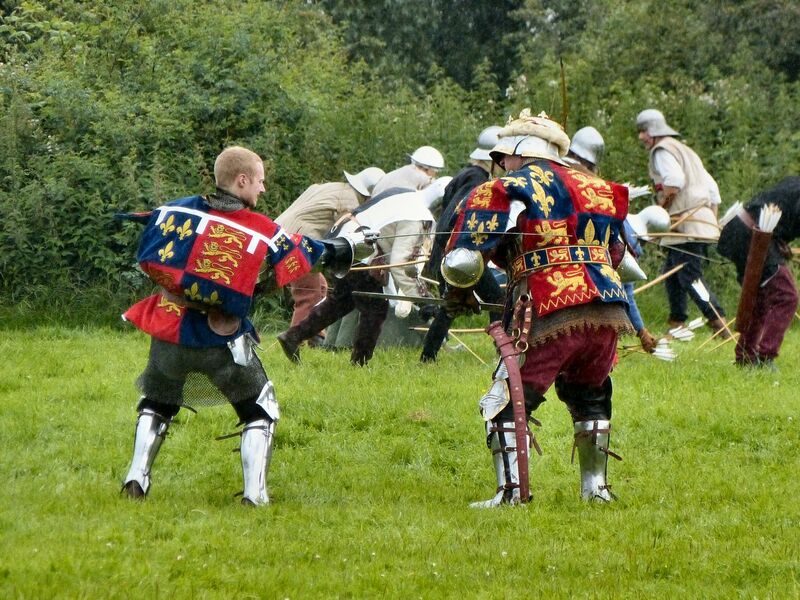 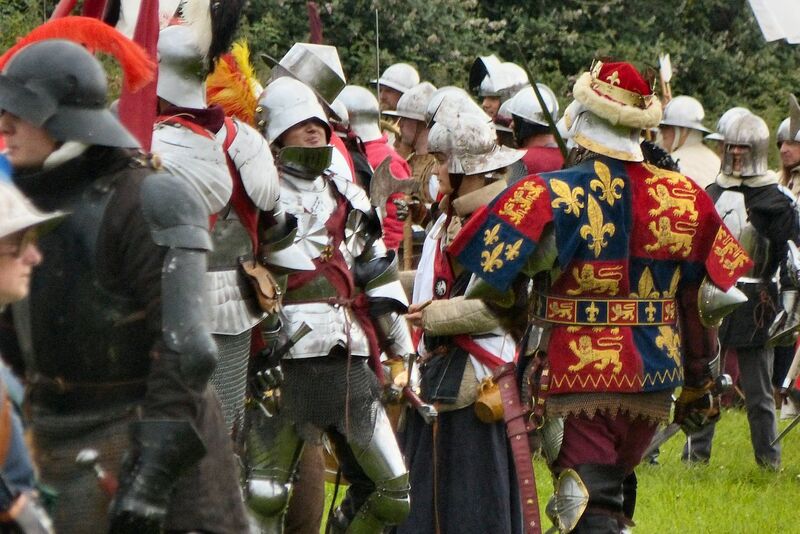 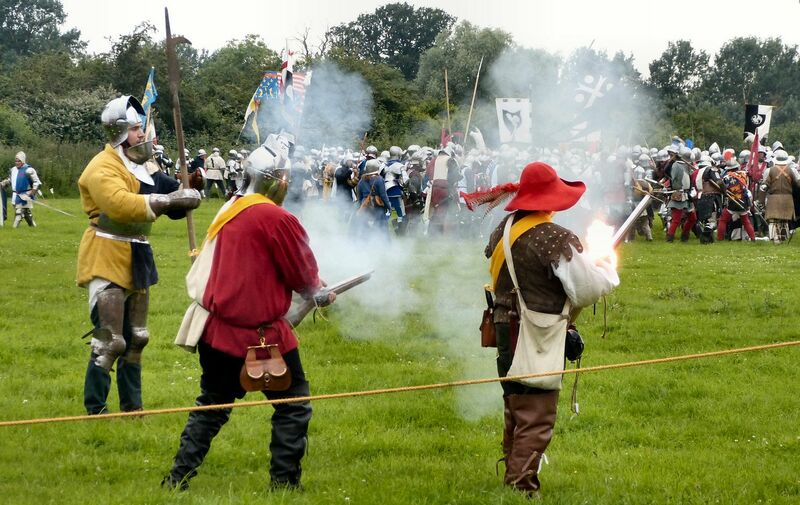 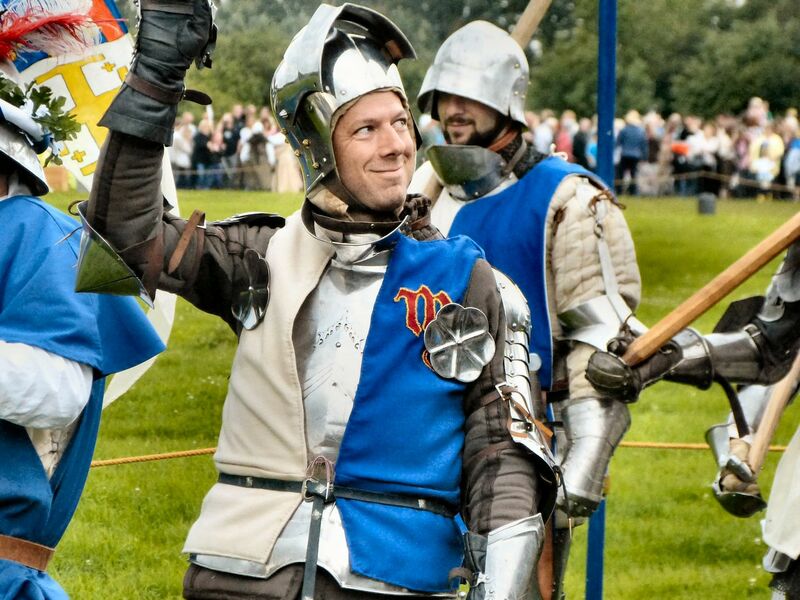 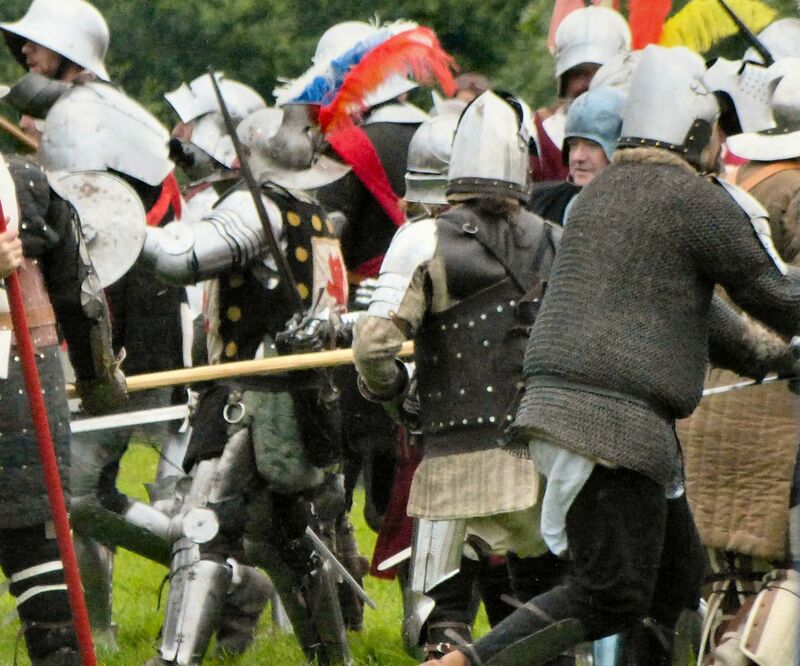 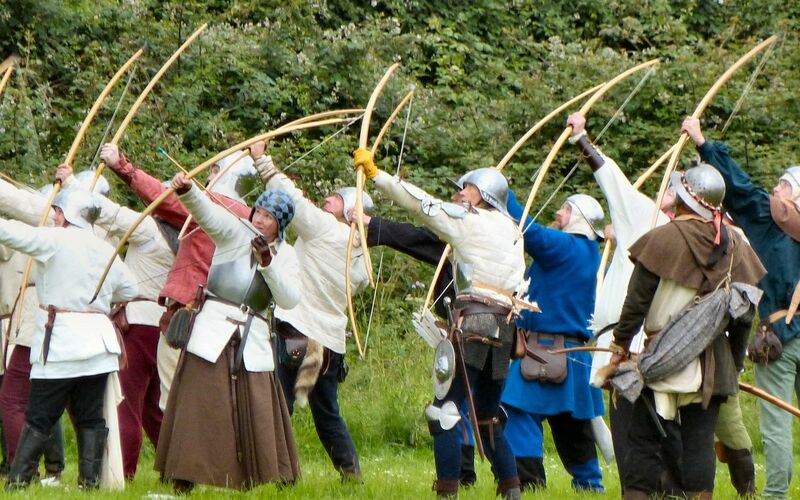 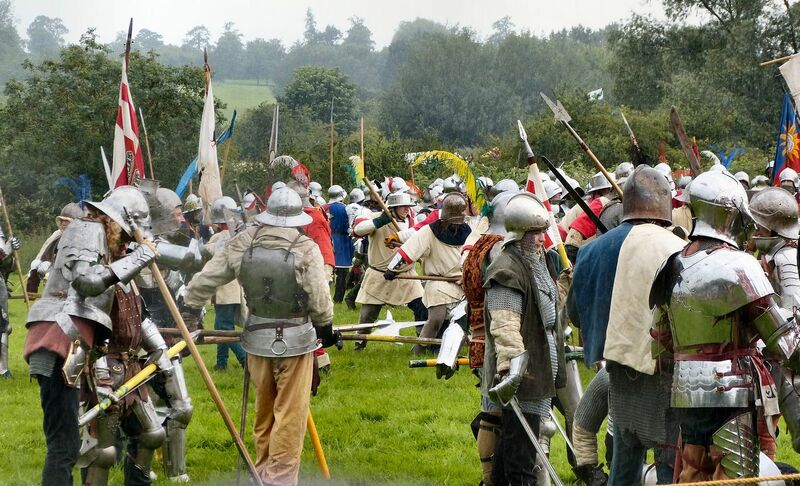 The battle re-enactment: the archers begin while others are still getting onto the field, including Queen Margaret and her son, Prince Edward, then King Edward IV. 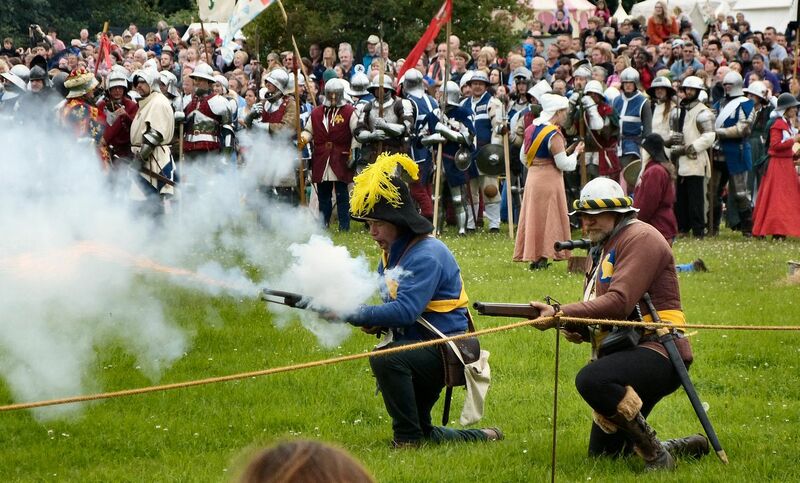 That didn't work, so the guns start firing, and the battle begins. 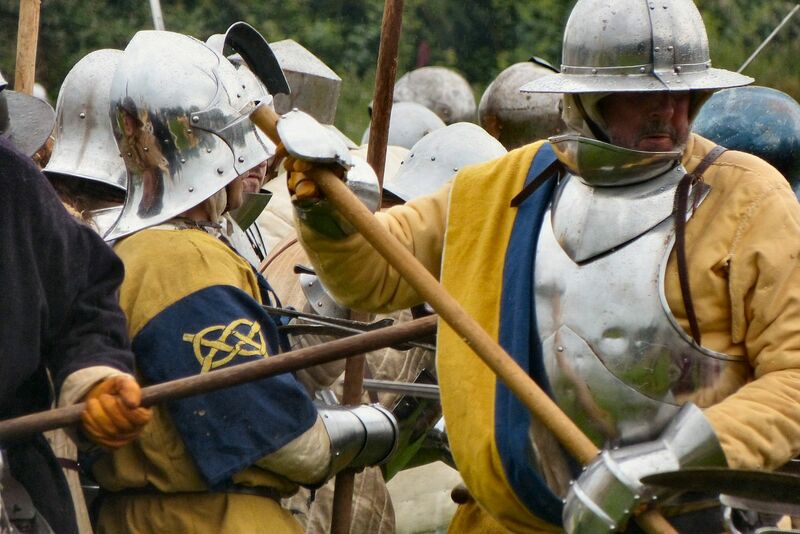 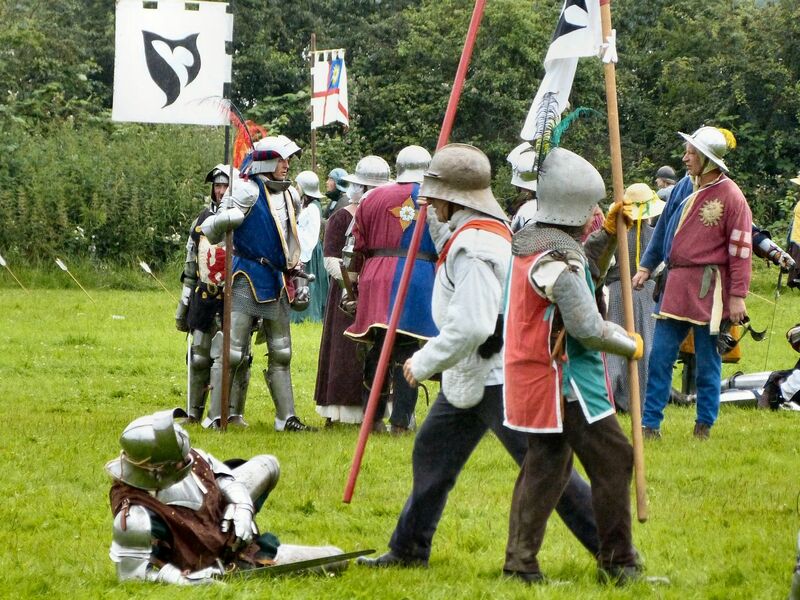 King Edward IV fights and kills Prince Edward of Lancaster, and the Yorkists are victorious.